When passing through the Mount Shasta area, it is nearly impossible to forget the mountain’s dominating presence. Whether just glancing up toward its icy crags while driving about or pausing at a great vista and contemplating the volcano’s presence, it rarely fails to make an impression. However, it is so large that the detail can at times get lost. 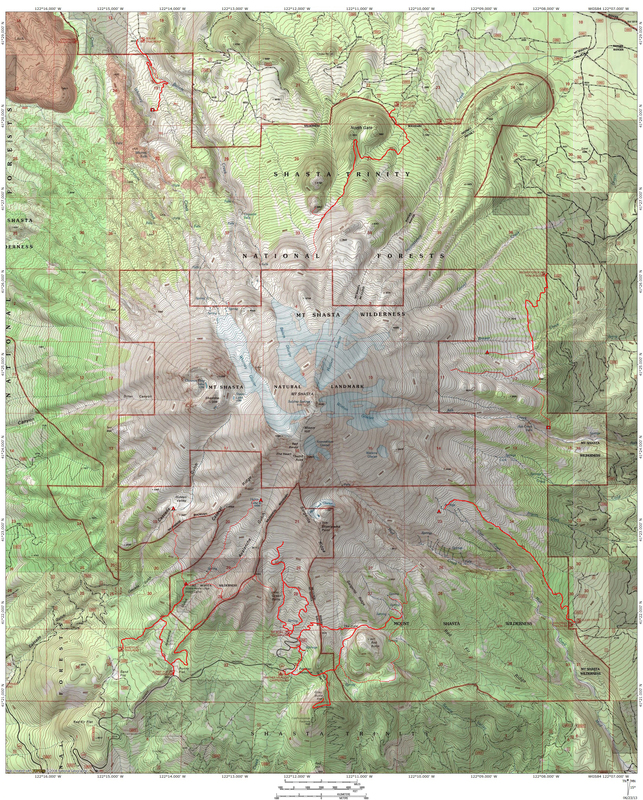 Yet there is a great deal of detail on Mount Shasta and much of it is named. Trying to name the points and make sense of the mountain and its immense scale can be challenging. Knowing the landmarks can help organize thoughts and categories while observing the mountain and also add enjoyment to hikes on Mount Shasta and in the surrounding mountains. 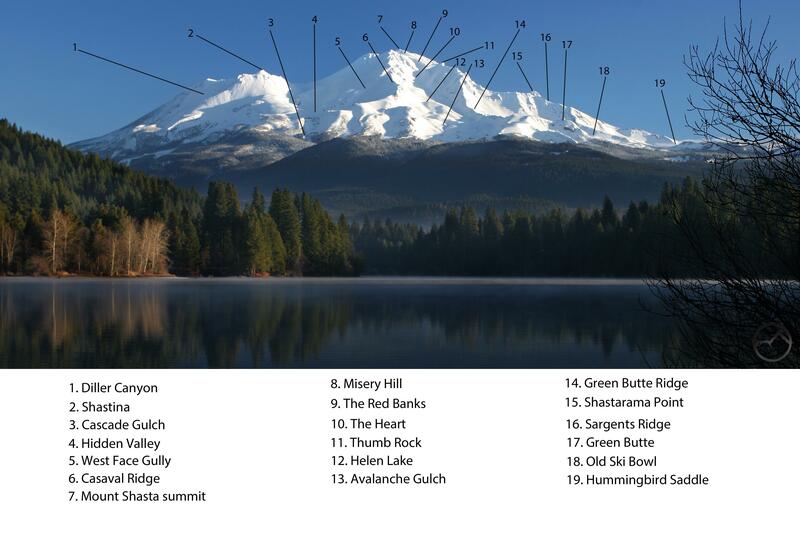 I hope that the image below is helpful for those who ever wondered what some of Mount Shasta’s landmarks are called or have heard of certain features but were unsure where they were located. This post will be followed up by similar landmark identifiers for the mountain’s three other sides.